Davaar’s Directors have extensive clinical and educational experience working in a number of private and public mental health settings. Both Wendy & Colleen and recognise the importance of “psychologically well” employees to deliver safe and competent health care to the community. Davaar has developed and delivered workshops in the private and public health care systems as well as to non-government agencies and to business. Dr. Wendy McIntosh PhD RGN, RMHN, Grad.Dip MH, MN, Cert IV Workplace Assessment & Training, Group Leadership Cert, MRCNA, MANZCMHN, AMANZSPA. Wendy has over 30 years as a health professional (clinical, education and research), twenty-five of those years in mental health. Areas of specific interest and passion for Wendy include: professional supervision, professional boundaries, professional identity, links between childhood trauma and mental illness and workplace bullying. Wendy has over 20 years as a psychodrama trainee – a life long learning. She is committed to using experiential learning in the work she does with individuals and groups. Regularly presenting workshops at national & international conferences, Wendy consistently receives feedback on her passion, knowledge and creativity as a presenter & facilitator. Nursing has been a constant draw for Colleen during her 35 years working history. Colleen has a genuine interest and like of health professionals and takes pride in the work she does. The skills that Colleen takes the greatest pride in are those that allow her to work effectively and respectfully with her patients. These skills enable the “aha moments” when practice and theory come together and make sense to people. Debb Quinn has a background in graphic design and administration. 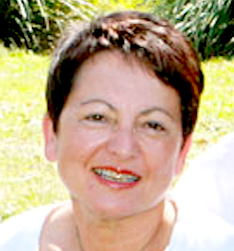 After working for ten years with ABC Channel 2 Toowong Brisbane Debb commenced a Diploma in Graphic Design as a mature student. With a combination of graphic design and administration, Debb found employment in tertiary education for many years. Debb has a husband and teenage son to help her enjoy their 40-acre property running 2 horses, 3 dogs, and 14 chooks. Other interests include fishing and reading. Her goal is to continue working in some vein until she falls off her perch. Since joining the Davaar team in June 2012, Meghan primarily contributes to workshop facilitation, general administration, and report writing. Meghan brings her business and psychology knowledge and skills base to all that she does with Davaar. Nikki considers herself a perennial student of human nature, a trait which she finds invaluable in her coaching and consulting work with businesses. Nikki provides Davaar Consultancy with support in various guises; Website development, branding, and document design are some the places where you’ll find evidence of Nikki’s handiwork. Located on the stunning coastline of in Central California, Nikki is grateful that the magic of the internet allows her to work with Davaar via Zoom and email. Nikki also considers herself very fortunate to be able to make infrequent visits to Davaar Offices in Laidley.